Republican presidential hopeful and former Arkansas Gov. 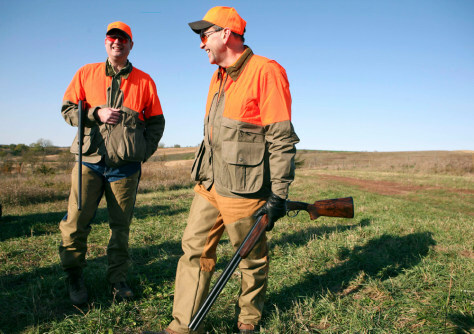 Mike Huckabee, right, holds his shotgun while talking with his national campaign manager Chip Saltsman before pheasant hunting, Saturday, Oct. 27, 2007, near Osceola, Iowa. Salzman is now a contender to chair the RNC.